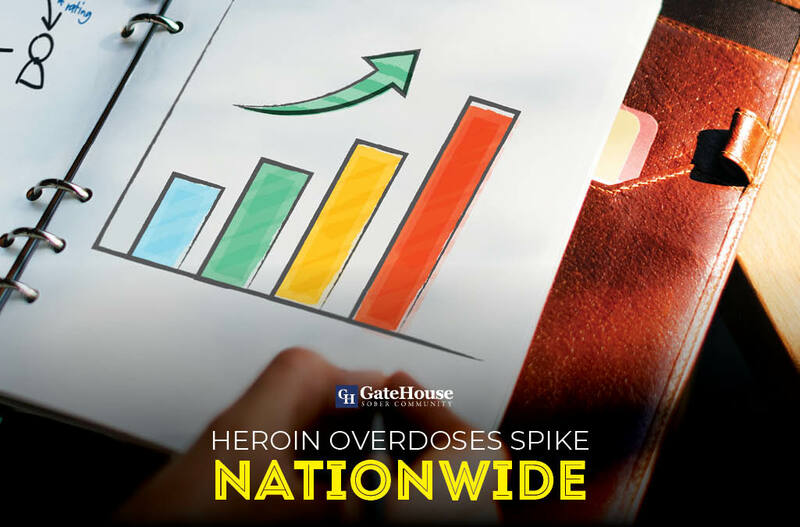 Last month GateHouse Sober Community discussed the rise of heroin overdoses and a sharp increase in the amount of adults that identified as having used heroin over the past few years. According to a report by National Public Radio, the rise isn’t only limited to New Hampshire, though this certainly has implications for sober living NH. According to the report, published by the Centers for Disease Control and Prevention, more than half a million American adults polled admitted to using heroin in 2013. Compared to the same poll in 2007, this represents a 150 percent bump in heroin use. There doesn’t seem to be an end in sight for the increase in heroin use, and these numbers are only from people that voluntarily answered survey questions. Police forces and state governments across the country stress that the problem could be much worse than stated in a report by the federal government. What does this mean for families or individuals living with someone in their life who might have developed an addiction? First and foremost, this news can serve as the jump off point for a conversation with a loved one who could be at risk. Addiction is a base-level, destructive force. It spreads quickly, faster than really anyone can anticipate. Because of this, it’s pivotal to act as quickly as possible, preventing as much damage as possible. Broaching the subject of addiction with someone close to you can be a difficult process. Steering them towards sober living in NH can be even harder. But news stories like this can serve as that vital conversation starter than can make meaningful difference in someone’s life. Second, while this news is far from the kind of feel good stories you want to share through social media, there can be reassurance in it. Families from all over the country are united together in trying to combat addiction and help save their loved ones. You aren’t alone in your uphill battle trying to save a father, brother, or son from their addiction. Make your next step in helping someone you know with an addiction by considering GateHouse Sober Community facilities for sober living NH. Reach out to us today at 855-448-3638.